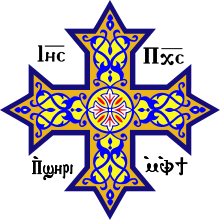 Coptic literature is the body of writings in the Coptic language of Egypt, the last stage of the indigenous Egyptian language. It comprises mostly Christian texts dating after the 2nd century AD, but also includes Old Coptic writings that predate the Christian era. The writings of Anthony the Great, Pachomius and Shenouda the Archimandrite are among the earliest examples of Egyptian Christian literature in Coptic. Shenouda was a popular religious leader who made extensive use of his native Coptic tongue instead of Greek as was the custom during his time. This led to an increase in the use of Coptic and its standardization as a literary language. Most Coptic literature was written in the Sahidic dialect until about the 11th century AD. The earliest original writings in Coptic language were the letters by St. Anthony of Egypt, first of the “Desert Fathers.” During the 3rd and 4th centuries many ecclesiastics and monks wrote in Coptic. The first Pope of Alexandria to write in both Coptic and Greek was Pope Athanasius. Much Coptic literature is now lost, as the Copts began to use Arabic. Texts such as the Apocalypse of Samuel of Kalamoun deplore the loss of Coptic; but are themselves now only extant in Arabic. The Morgan Collection comprises 58 volumes discovered in 1910 in the library of the Monastery of St. Michael in the Faiyum. The local library collection consists of some 5000 volumes, a few fragments of which were acquired by the Egyptian Museum in Cairo.